Labels always have their place within the marketing business. They hold the viewer’s attention with an attention-grabbing quality. That’s why labels remain a popular option for selling products of all kinds. 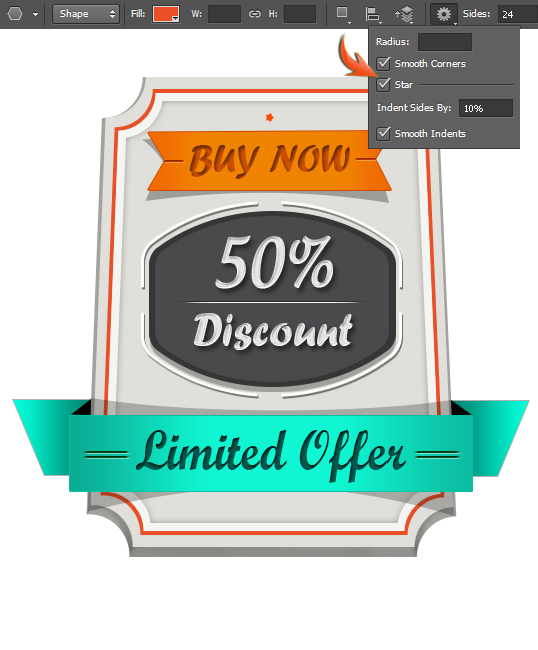 There are a lot of stock labels readily available, but if your goal is to distinguish your product with a truly unique, tailor-made presentation, you’re likely better off building your own label in Photoshop. 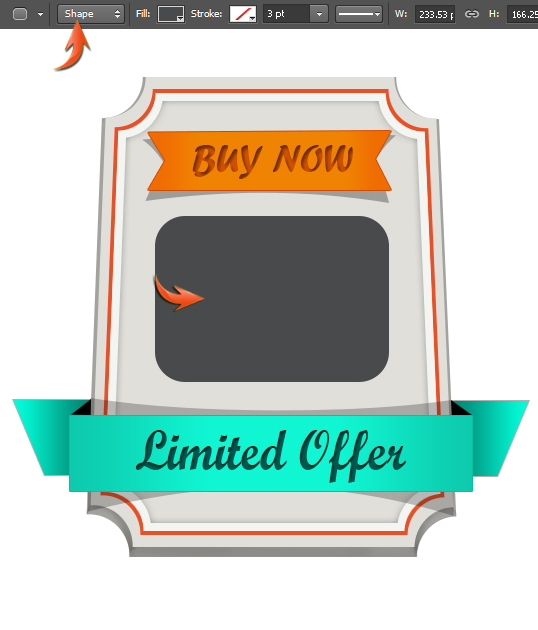 So, today we’ll learn to create an interesting and compelling product label in Photoshop. In this tutorial, I’ll walk you through the process of creating an attractive label from scratch. Along the way, we’ll practice the use of various shape tools, the pen tool, different layer styling techniques, and advanced shading of layers and elements. So, let’s get started! 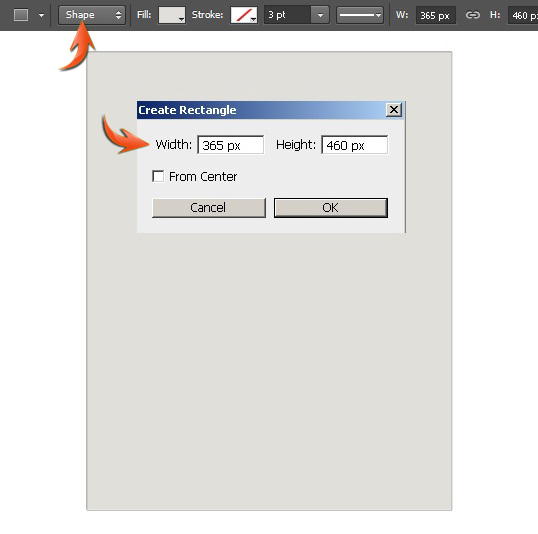 Create a new document in Photoshop with a 600px width and a 650px height. Set #e0dfda as your foreground color, and select the rectangle tool (using tool mode: shape) to draw a rectangle shown below. 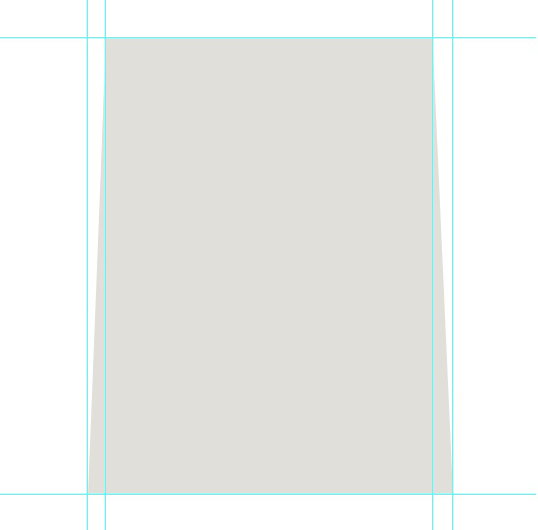 Now, we’ll bring top corners of the rectangle closer using distort. Click on the rectangle layer and go to “Edit” > “Transform” > “Distort,” and drag the top corners slightly inward one by one. Next, we’ll add guides, which will help us achieve the desired look more accurately. So, go to “View” > “Rulers.” This will bring the rulers at top and left side of the canvas. 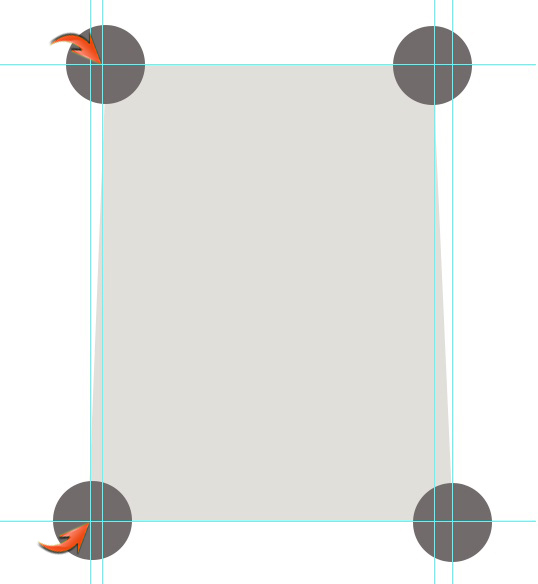 Now, simply select the move tool and drag guides from horizontal and vertical rulers to the borders of the rectangle as shown below. 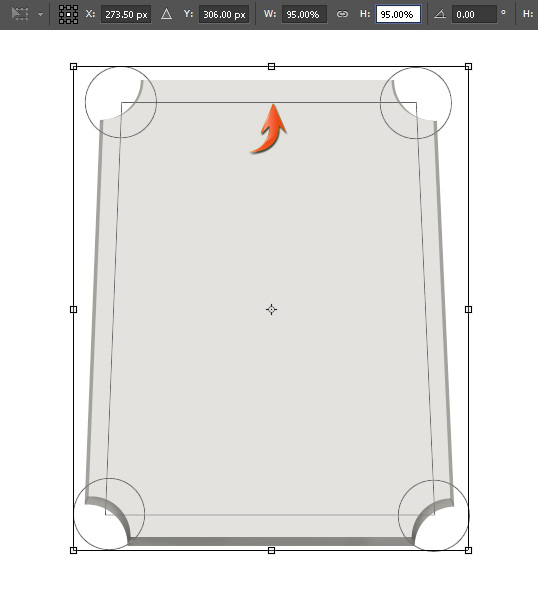 Now, select the ellipse tool (using tool mode: shape) and draw a circle. You can use any color for the ellipse, it doesn’t matter. Then, duplicate this circle three times and arrange them as shown below. If you prefer, you can remove the guides by going to “View” > “Clear guides.” Duplicate the “Label’s base” layer by going to “Layer” > “Duplicate layer.” Change its color to #a3a29e. Drag it below the original layer, increase the size of this layer a bit using free transform tool (Ctrl + “T”), and drag it downward to give the label some thickness. Now press Ctrl+ <click on this new layer> to make a selection around it. 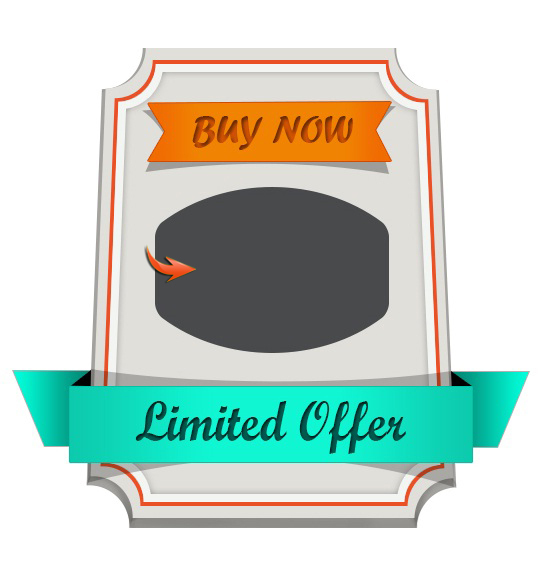 Create a new layer between the duplicated base layer and the original base layer. After that, select the soft round brush with 10% opacity and apply it within the selection on this new layer in pure black color. 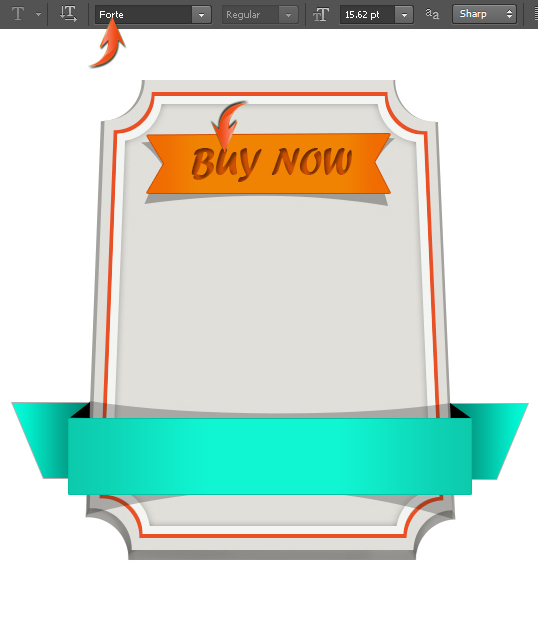 Now, duplicate the label base layer, this copy should be at top of the rest of the layers. Reduce its size by 5% using the free transform tool. After that, double-click on this layer to apply the following settings as a stroke. 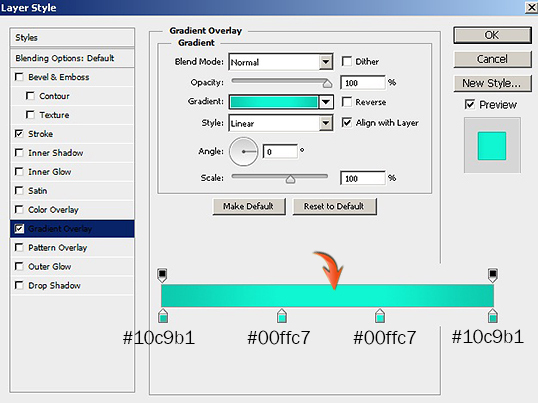 Next, duplicate the layer formed in step 7, reduce its size by 2%, and apply the following layer style settings for stroke and inner glow on this layer. Next, we’ll create a ribbon. Select the pen tool (using tool mode: Shape) and draw the ribbon as shown below. You can use any color for now, as we’ll apply a gradient on it in later steps. Double-click on the ribbon layer and apply the following settings for stroke and gradient overlay. Now to create ribbon’s shadow, duplicate the ribbon layer, remove the effects by simply dragging them to the delete icon located at the bottom of the layers panel. 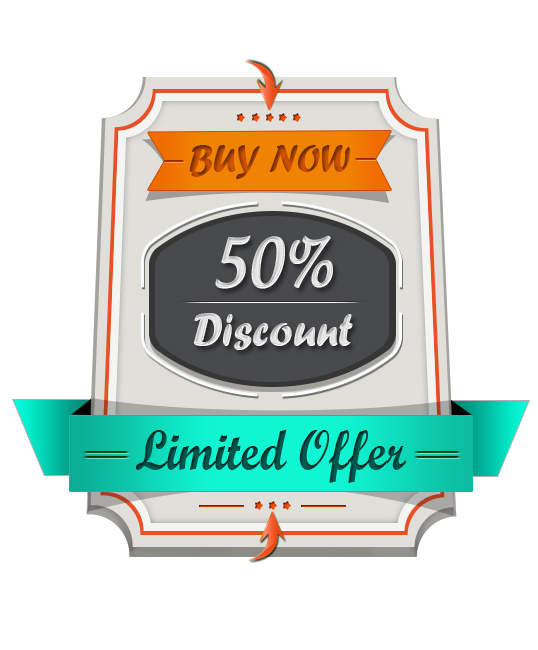 Change this new layer’s color to pure black and reduce its opacity to 30%. Place this layer below the original ribbon layer and go to “Edit” > “Transform” > “Warp.” Use it to make a shadow behind the ribbon, as shown below. Next, we’ll create another ribbon over the lower part of the label. 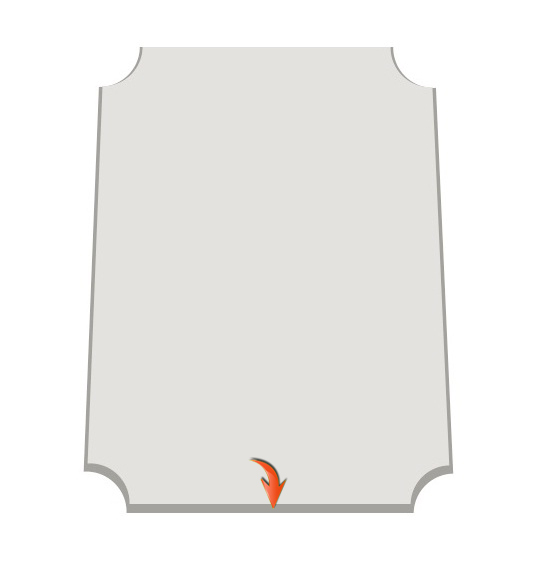 Draw a rectangle as shown below. 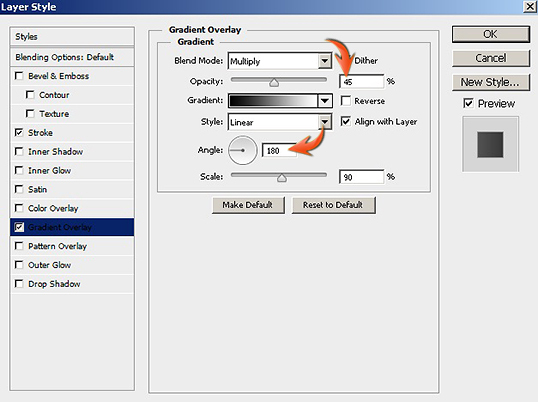 Apply the following layer style settings to this new layer. 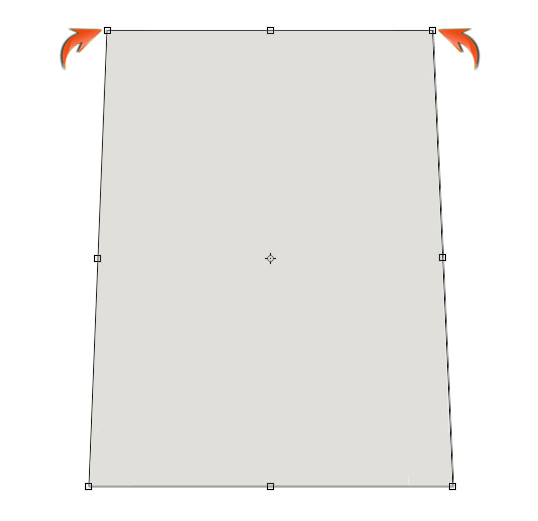 Select the pen tool (tool mode: shape) to draw a triangle like the one below in pure black. Now, duplicate the triangle layer and go to “Edit” > “Transform” > “Flip Horizontal.” Position this new duplicate over the other corner of the ribbon. Select color #02fbd7 and draw the shape shown below using the pen tool. Apply a stroke using the same layer style settings used in step 11, and apply the following gradient on it as well. Duplicate this side ribbon shape, flip it horizontally, and change the angle of gradient overlay from 180 to 0 degree to get the effect shown below. 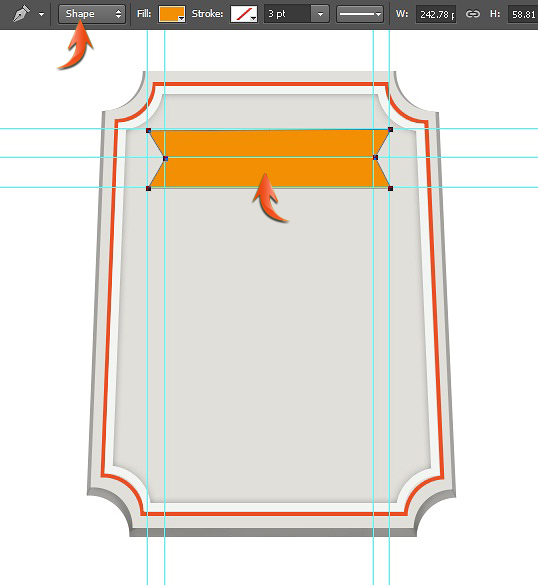 Now, form the ribbon shadow using the same process that we used for the orange ribbon in step 10. Next, we’ll add text over the ribbons. Select the type tool and type text over the orange ribbon in color #d65401 using the “Forte” font. 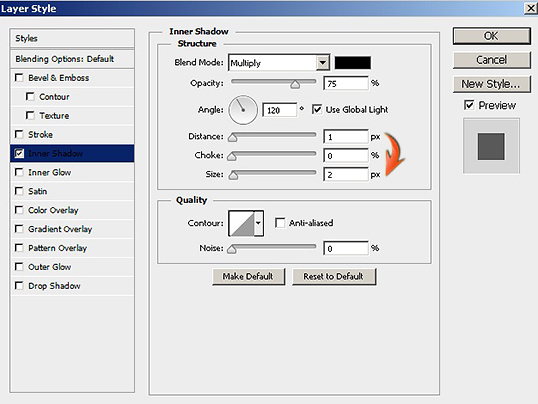 Apply the following settings for inner shadow on this new text layer. 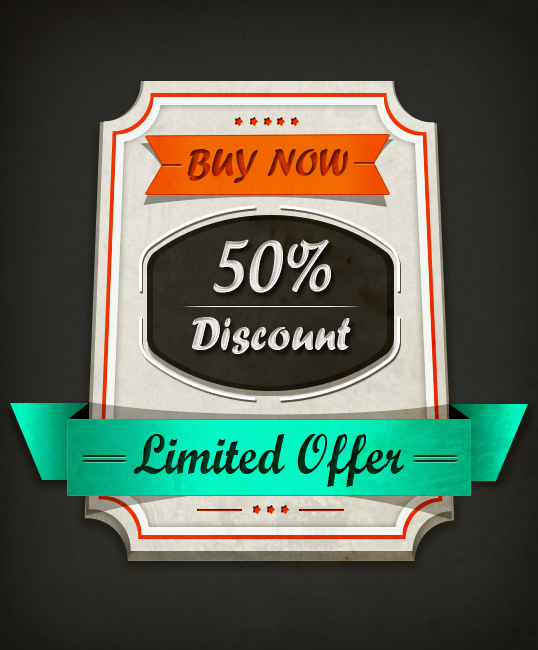 Type some text over the blue ribbon; use “Script MT Bold” font and #00968d as your color. 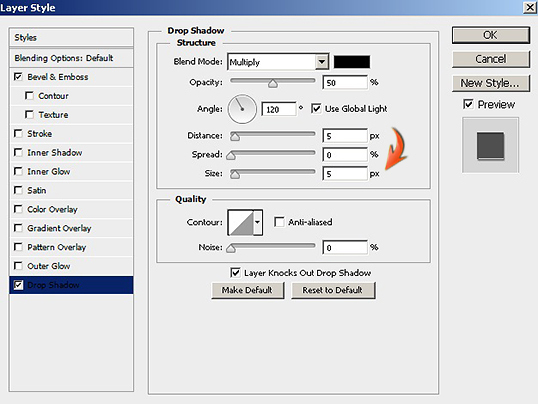 Apply an inner shadow using the same settings from the last ribbon text. 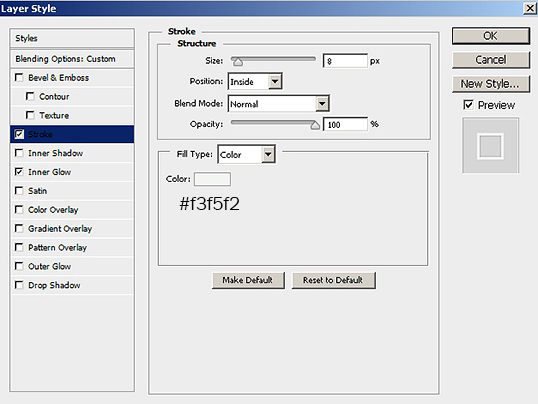 Select #484a4c as your color and draw a rectangle using the rounded rectangle tool with a 30px radius. Now go to “Edit” > “Transform” > “Warp.” Select “Bulge” with a 50% bend in the top properties bar. Once you are done, decrease its size vertically using the free transform tool to get the shape shown below. 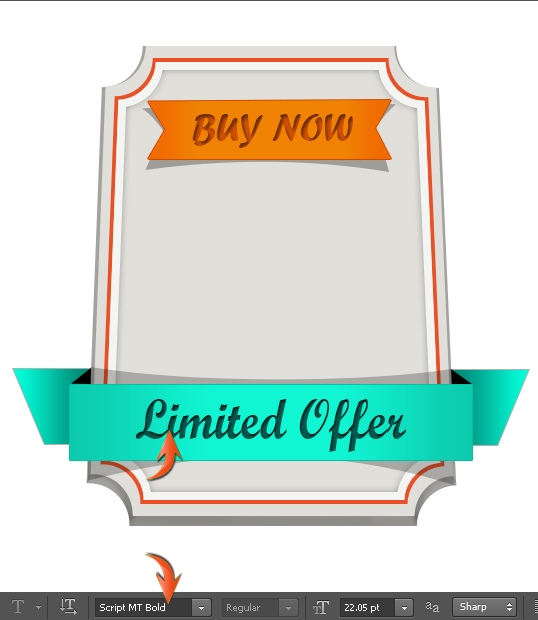 Duplicate this new shape layer, Change its color to a darker gray (#363636), and increase its size slightly. Place this layer below the original layer and form its shadow as shown below. Add text over this new shape in pure white. We’ll use “Forte” font to write the word “discount”. Apply the following layer style settings on this new white text. Duplicate the rounded rectangle layer, increase its size slightly, and apply a stroke of 3px in pure white color. 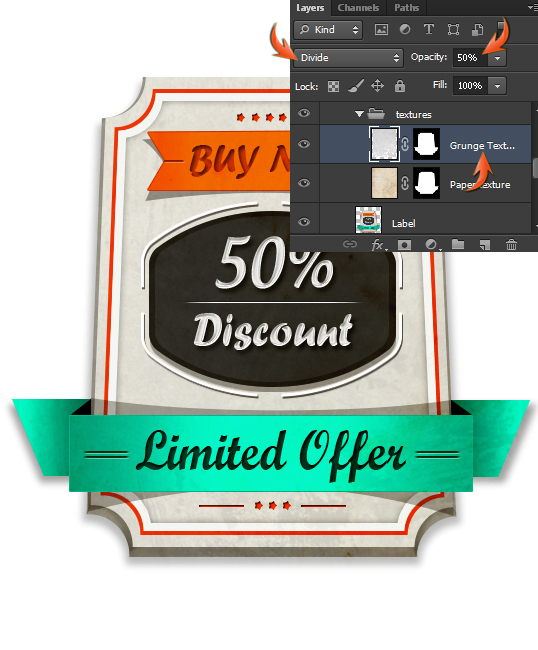 Now use the following values to apply a drop shadow to the same layer. 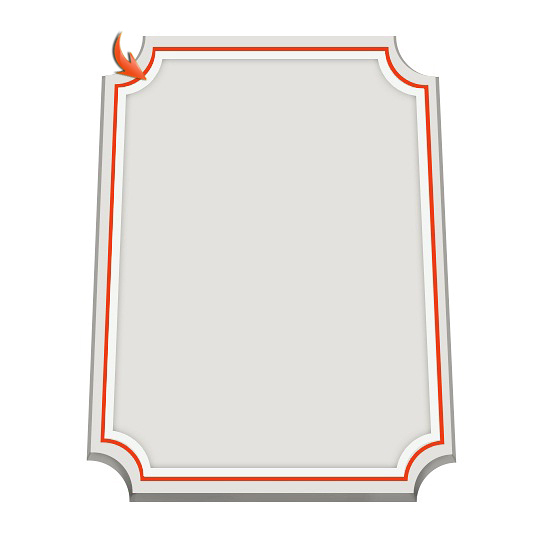 Create a new layer on top of rest of the layers, make a thin rectangular selection using the rectangular marquee tool, and fill it with pure white. 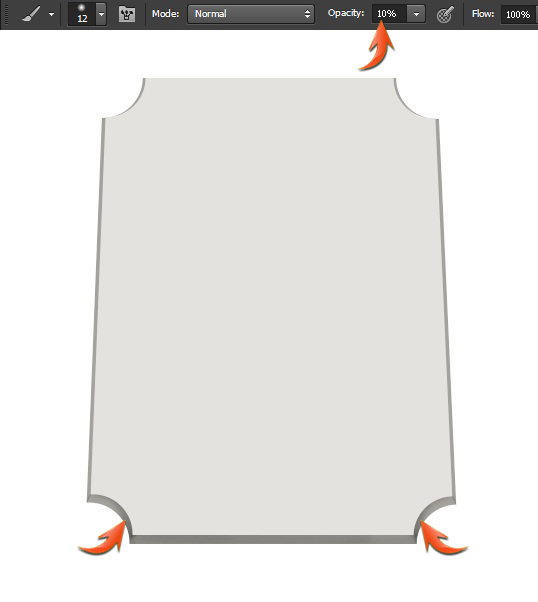 Now, gently erase the new shape’s edges to give them pointed look. 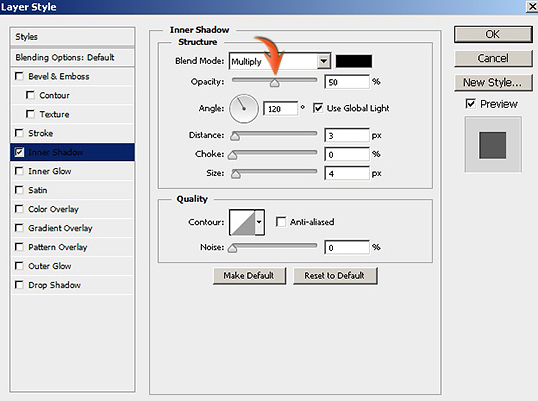 Apply an inner shadow with the following settings. Duplicate and resize this thin partition layer and arrange them over the ribbons as shown below. 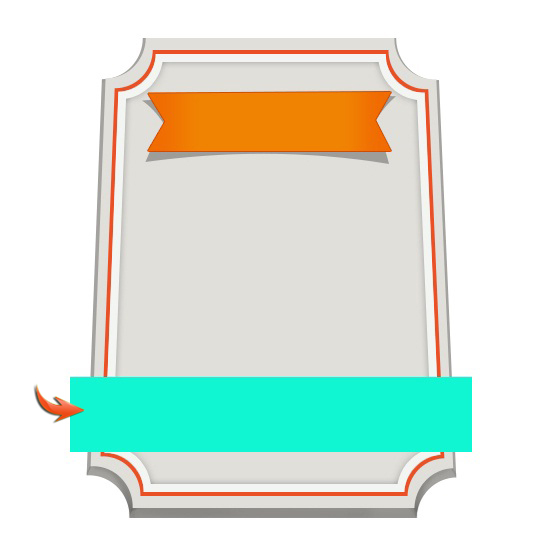 Now, apply the following layer style settings for the orange ribbon partition lines. Use the same settings for the dividers over the blue ribbons. However, use a darker blue shade for the color overlay. We’ll add tiny stars now. 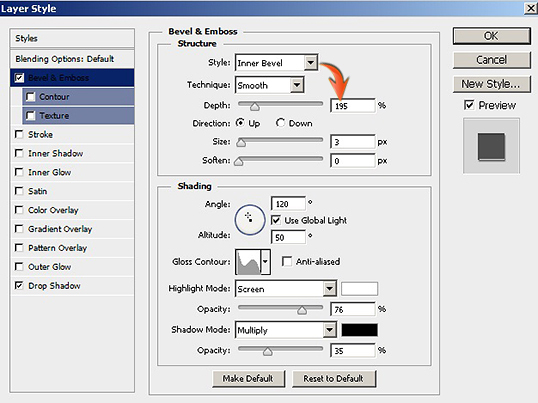 Select the polygon tool and use the following settings to draw a star. 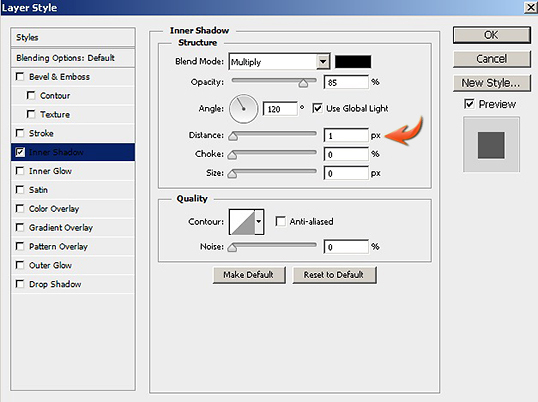 Apply an inner shadow on the stars layer using the following settings. 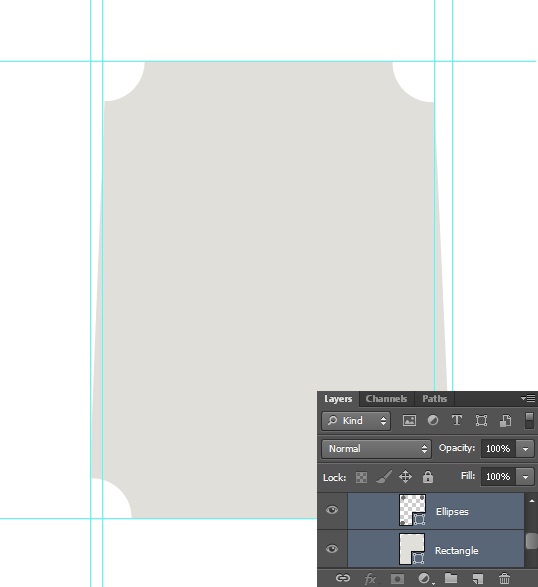 Make two thin rectangles and duplicate the star layer a few times. Arrange these elements as shown below. 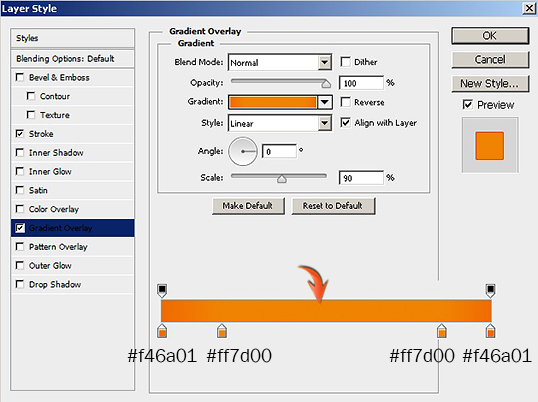 Next, to make a shadow, duplicate the darker base layer of the label, turn it pure black and go to “Filter” > “Blur” > “Gaussian blur.” For that, you’ll need to rasterize this new layer. Then, use 3.5px for the Gaussian blur and reduce the opacity of this layer to 30%. Then, make a shadow below the blue ribbon sides using the same technique. Now we’ll apply a subtle texture to the label. 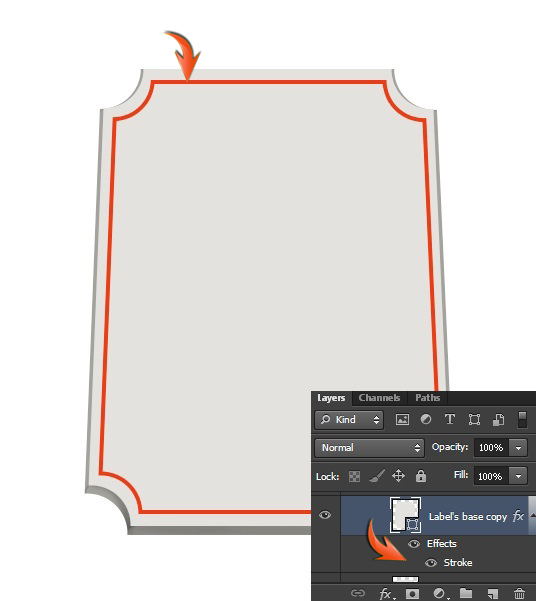 Load the paper texture in Photoshop, copy it, and paste it in your document on top of the other layers. 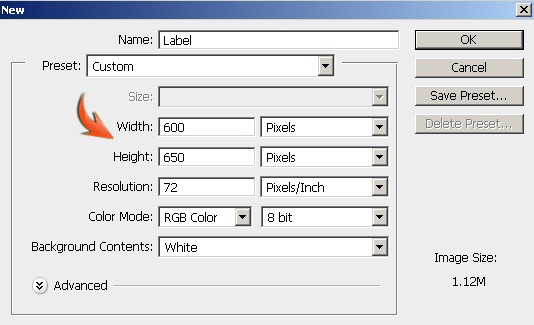 Collect all label layers in a group, merge this group, and name it as “Label.” Now, click on the texture layer and press Ctrl + <click on the “Label” layer> to make a selection around it. 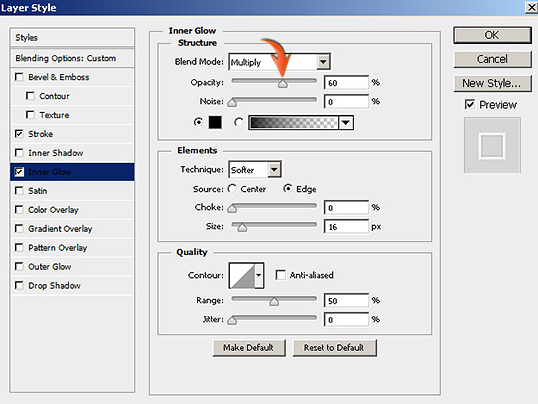 Then, click on the icon to “Add layer mask.” Change the blending mode of texture layer to “Color Burn,” and reduce its opacity to 70%. 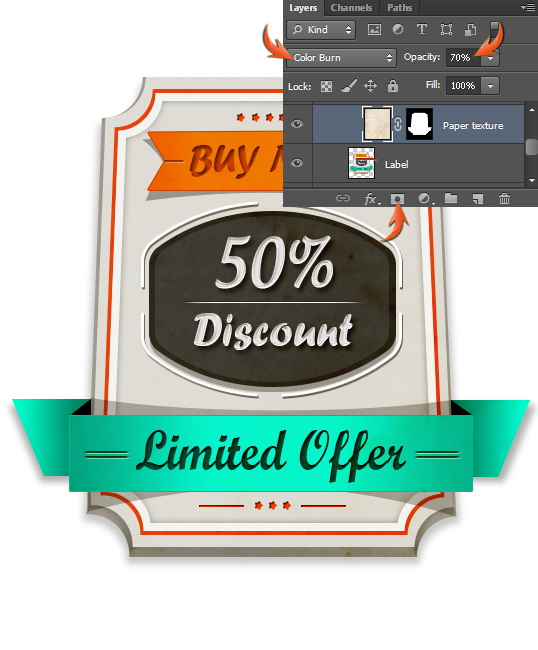 Paste the grunge texture above the paper texture and add a layer mask like before. 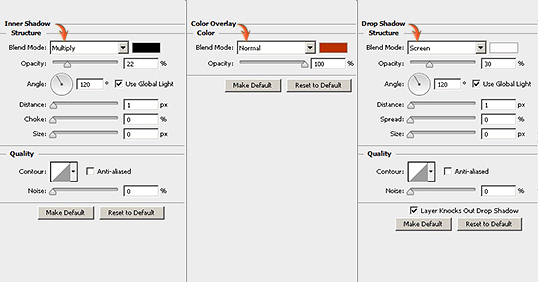 Now, change its blending mode to “Divide,” and reduce its opacity to 50%. That’s it guys. I hope you have learned something useful and gotten some good practice.